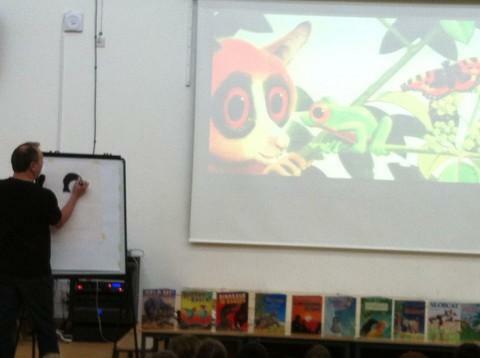 On Monday the 25 March Year 3, 4,5 and 6 were lucky enough to be visited by one of the most famous author and illustrator in England. 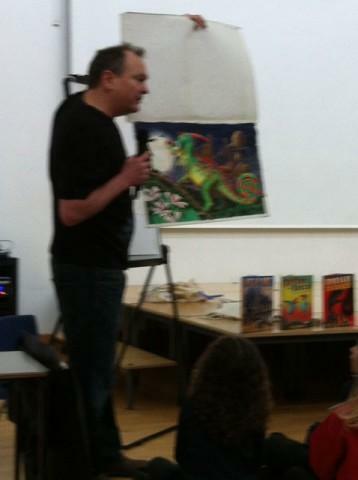 In his visit he showed us a lot about how to illustrate and made us more passionate about writing stories. Paul Geraghty was probably the most hilarious person on this planet, some of characters were even called Gedas Monnie Monga Mfie Sfre Johnson. Paul Geraghty loved frogs, so he put one in every story. But the story wasn’t always about a frog so he sometimes needed to hide it in some pictures. But it wasn’t always easy to find. Even though it was an hour and ten minuets it flew by very, very quickly. That day inspired every person who saw him to write a story when they got home.